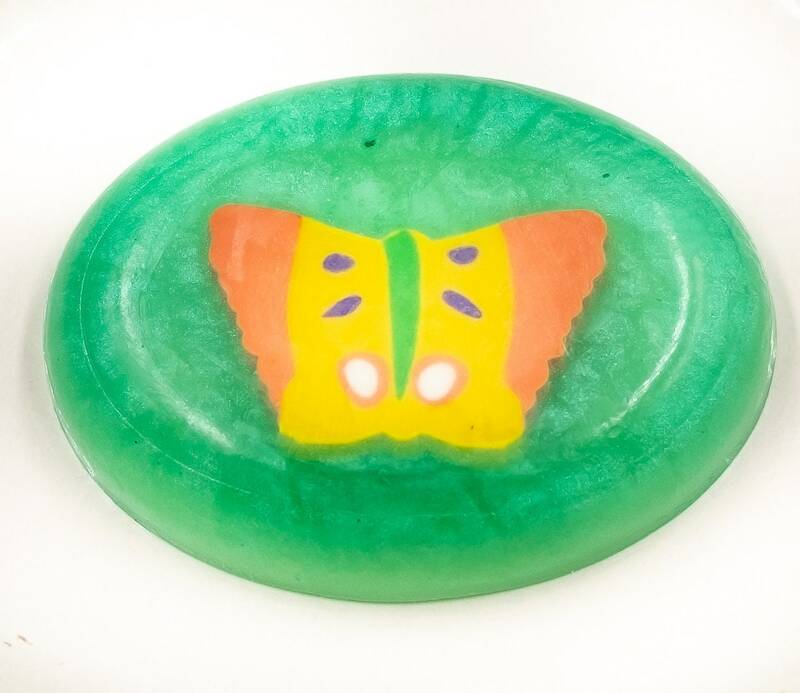 ONE Children's Soap w/ Embedded Eraser | 1oz ea. 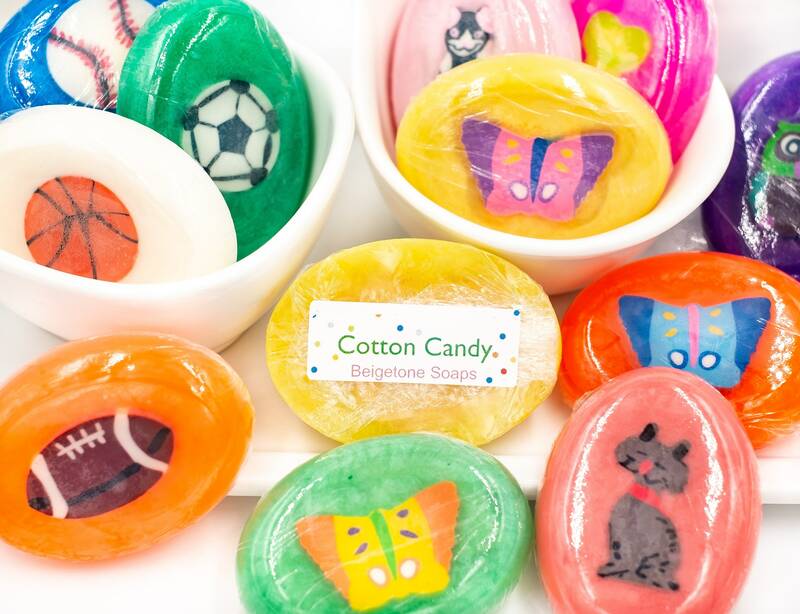 | Cotton Candy Scent | Boys and Girls | FUN! 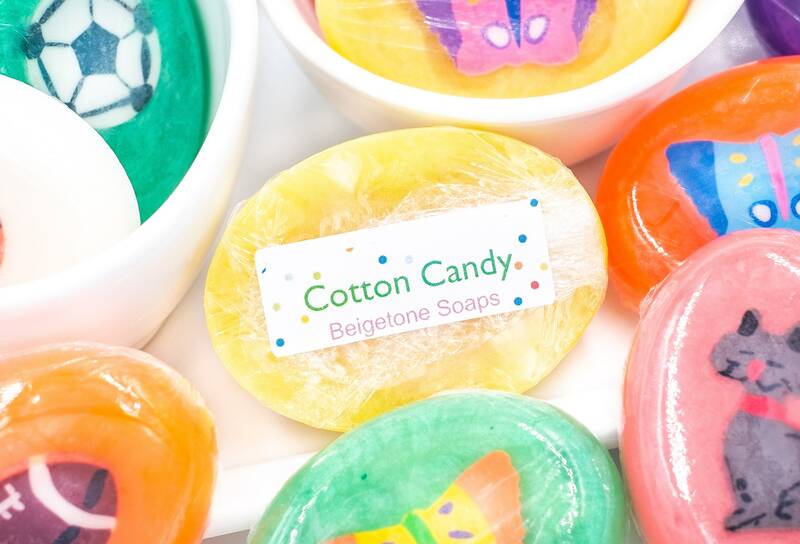 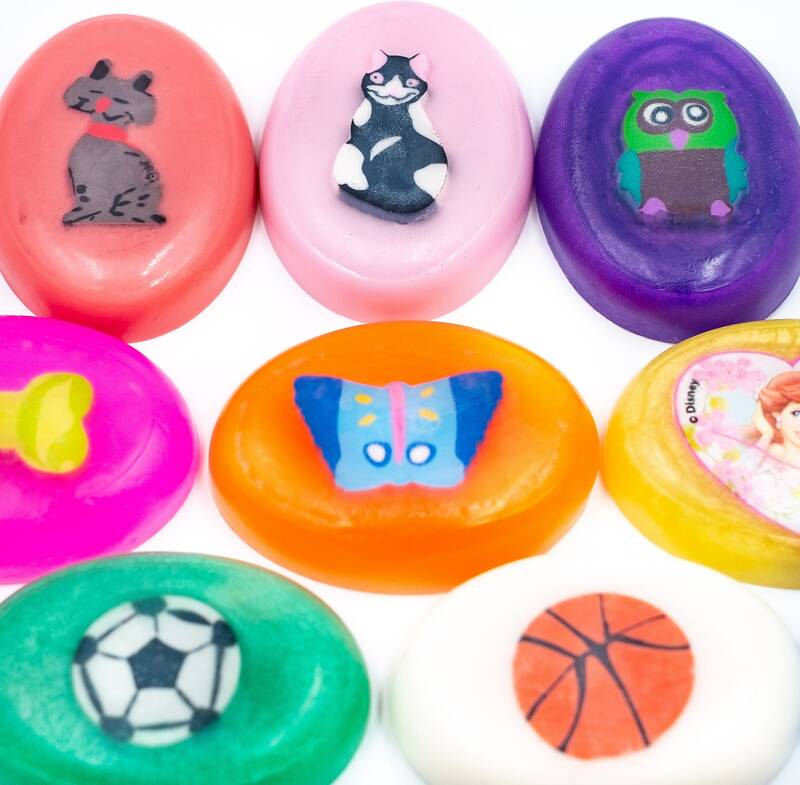 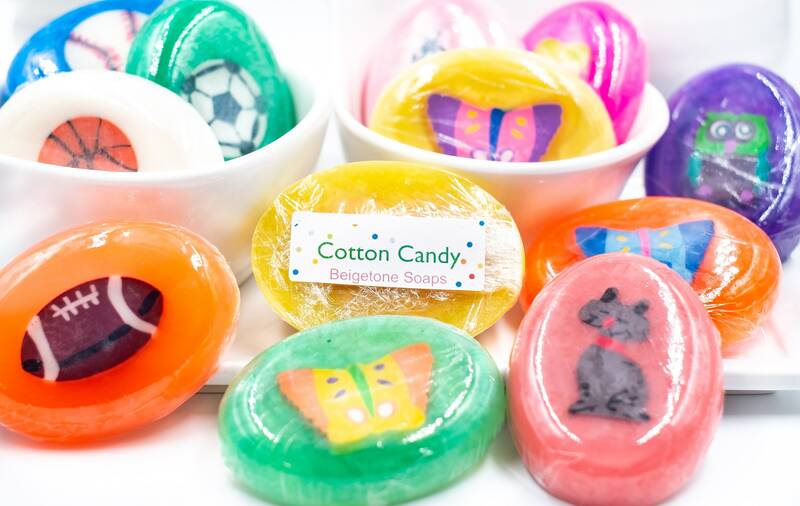 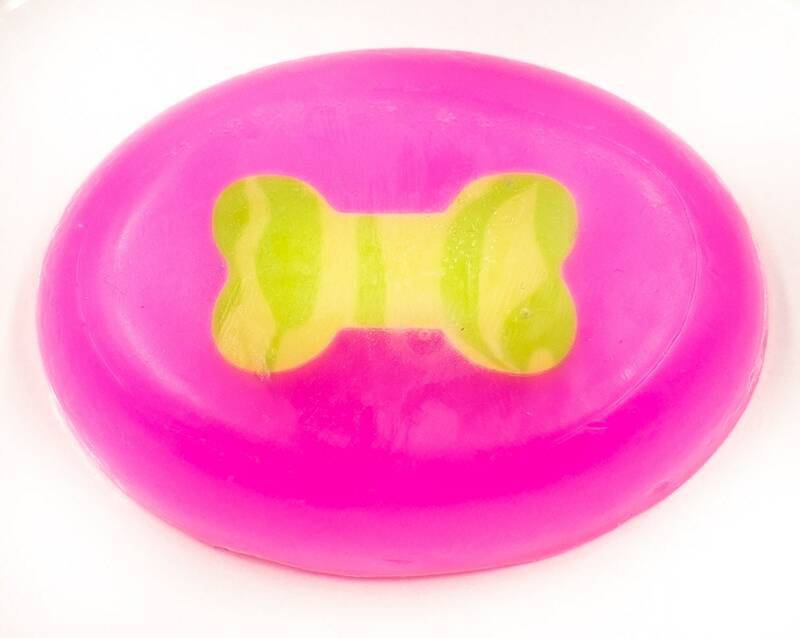 Children love these bright colored soap bars. 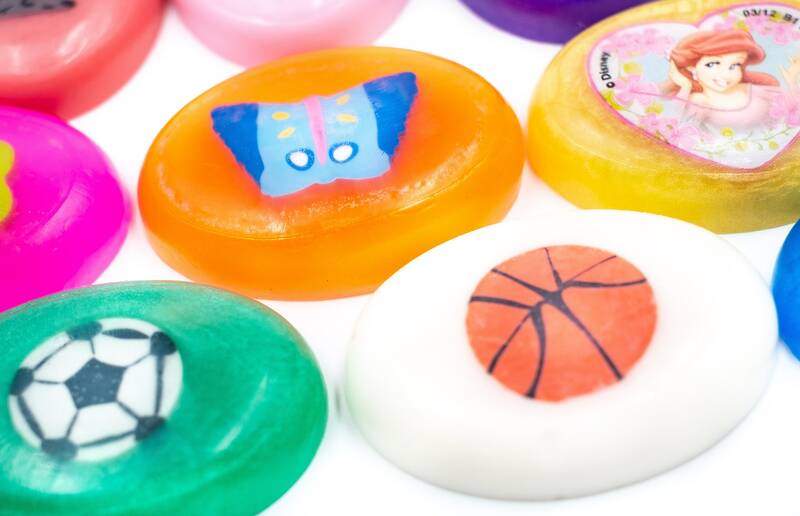 Little SURPRISE erasers inside make them adorable and kids will get super clean working their way to the prize!